You are done authoring your rules, or at least a subset of your decision logic. Now what? You need to check that your rules are working properly. Today, we will focus on traditional QA Testing. Obviously, QA Testing refers to the testing of business rules in this context. 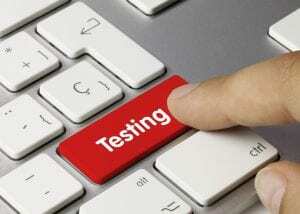 In the worst case scenario, users can produce test cases manually to ensure that the rules produce the proper result. That being said, it is more productive to leverage test cases with expected outcome. For Joe’s application, you know that Joe is supposed to be approved with such and such terms. You can now automate the execution of the rules, and check that they match the expected results. Having weeks or months of historical transactions is ideal. The more transactions you have, the more comprehensive your testing will be. While there is a little investment in collecting and preparing the data, the benefit is significant. However, if you do not have any data yet, do not give up. You can produce data by hand, or using tools such as Mockaroo. Many of our customers like to leverage Excel when possible. They simply copy one test case and create variations for each relevant attribute (age, state…). Unlike the lucky practitioners with historical data, you will have to think about the result that you expect. Though it adds a little effort, these golden test cases can be saved for the future, and reused for each wave of changes in your decision logic. How does QA Testing work? Regardless of how many QA Flags you have, you are now ready to let the magic happen. Create a report for your QA Flag(s), and get instant gratification as the chart will let you know how many discrepancies you have. In my projects, I like to create filters to focus exclusively on the ‘bad’ test cases. Instead of looking at the full data set, it will show me only the ones that fail QA Testing. In some cases, I end up fixing a rule after I review the test case. In some cases, I end up fixing the test case itself. You would be surprised how many time data is not supplied as expected! Once the change is done, it is time to move on to the next ‘bad’ test case until we reach the end. QA Testing has never been easier! The beauty of working with data is that you can focus on actual transactions. If you are looking at older rules that you may or may not have authored personally, I highly recommend activating RedPen. That will help you pinpoint what is the issue in the rule (or test case), by overlaying them on top of each other. You can see the data next to the test done by the rule. You can see which statement in the rule is true, and which one is not. That is a time-saver in large object models. Additionally, once you testing is done, make sure you read our recommendations on packaging your decisions in a release.